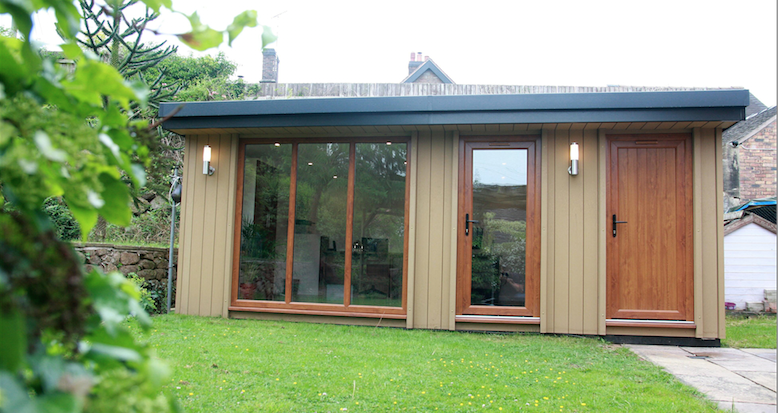 When looking for Garden Rooms or a Garden Office, the majority of suppliers offer a timber cladding for the exterior, usually in either Cedar or Redwood. We offer these materials plus a Wood Fibre Composite option. The choice really depends on your preferences and/or existing environment. 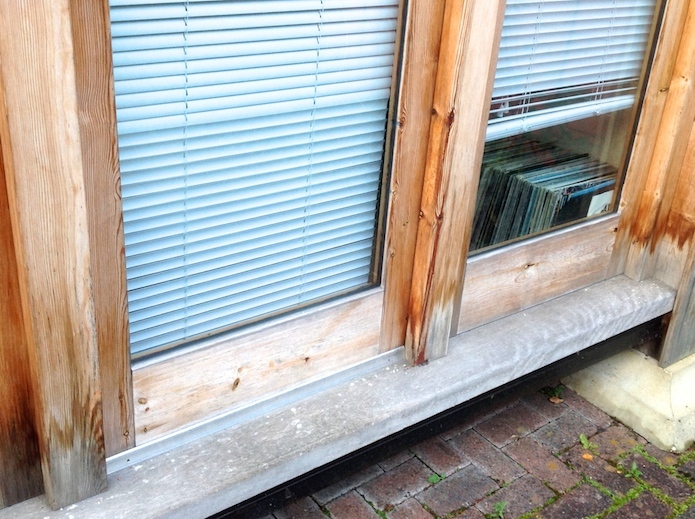 Please Note: this is not UPVC and does not look false or plastic in any way. If you want true Zero Maintenance, without the need for regular painting or staining, then Wood Fibre Composite is the only real option as Cedar or European Redwoods do require bi-annual staining, unless you are happy with the uneven discolouration and fading to greys and blacks. 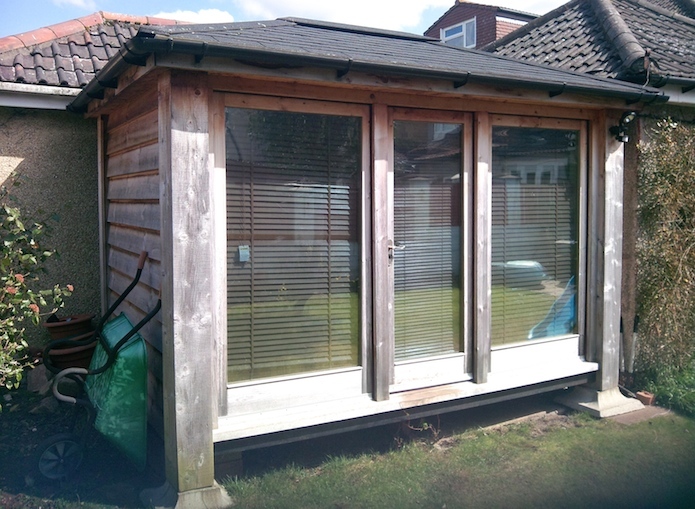 Having the beautiful appearance of traditional wood and the long lifespan of a modern high-tech material, Wood Fibre Composite cladding on your Garden Room or Garden Office is the premium choice for new or even replacement cladding projects. This cladding looks and feels like natural wood and its unique formula provides lightweight yet durable cladding that will not splinter, warp or rot throughout its 50 years design life, easy to repair or replace, and an excellent insulator. Wood Fibre Composite comes with a 25 year manufacturers guarantee for additional peace of mind. Whilst Cedar and some treated Redwoods have an overall lifespan of 30+ years, it cannot be classed as truly maintenance free, as the yellow, orange and brown hues will fade over time if left untreated. If you understand this factor and are happy to accept how the building will fade over the initial few years, then this material is still a reliable choice. However, as the photographs below of a Cedar Garden Room demonstrate, if it is left untreated it can turn grey/black and become very patchy. 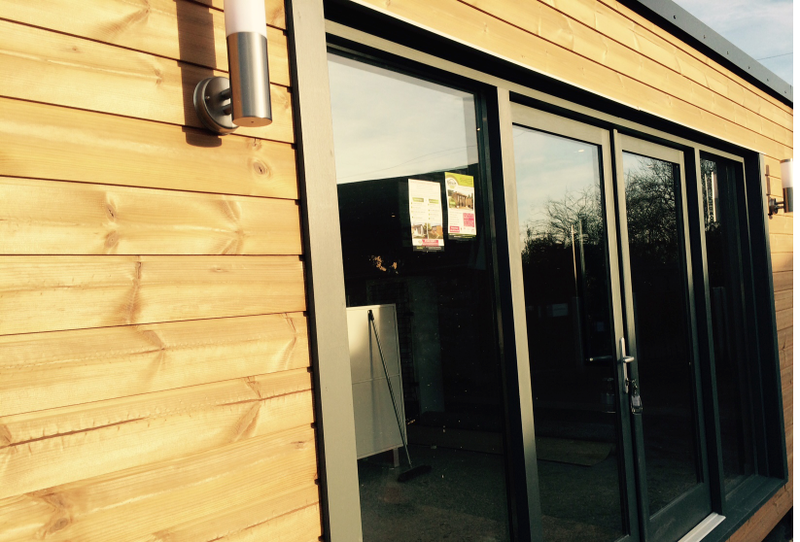 If you do not like the idea of regular staining to keep the timber colours fresh, the the option is to specify our Wood Fibre Composite which requires no maintenance at all..!